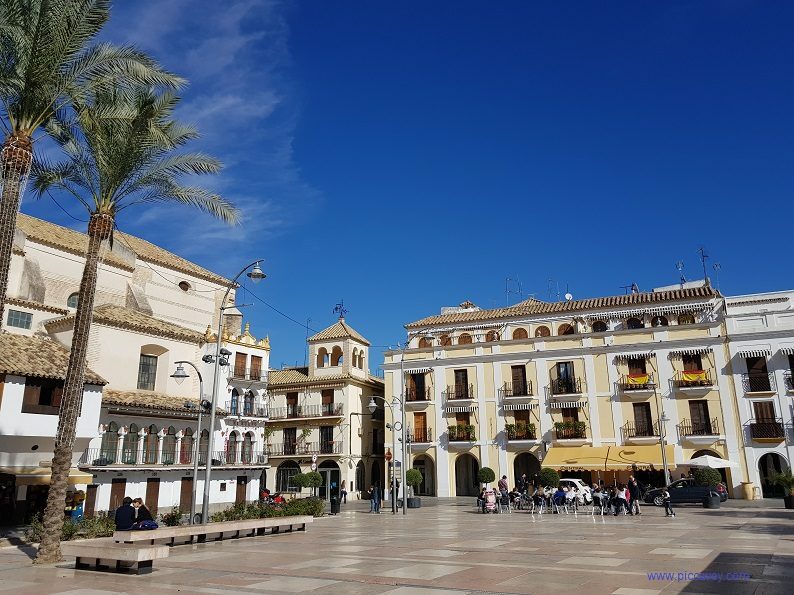 Ecija is known as the City of Towers. 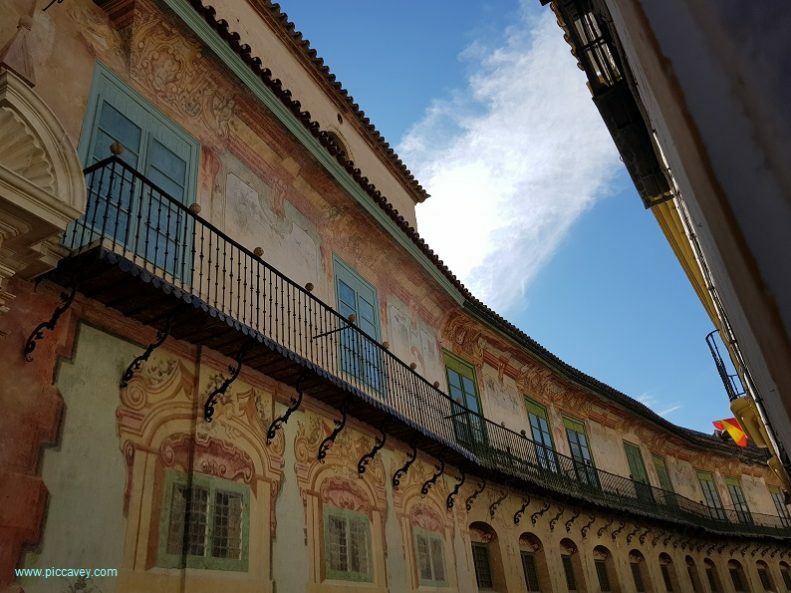 Located in the centre of Andalucia this place in Seville province has a fascinating past. Learn about the Roman history, see its beautiful architecture and taste the fabulous food. Join me on a daytrip to this stunning city. 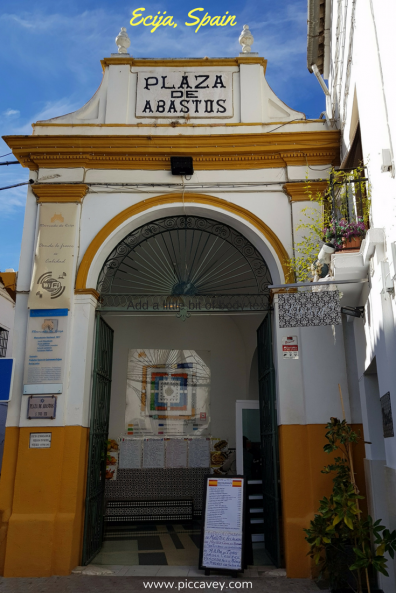 Located 85 kms from Seville and 55 kms from Cordoba this makes a good day trip from either location. 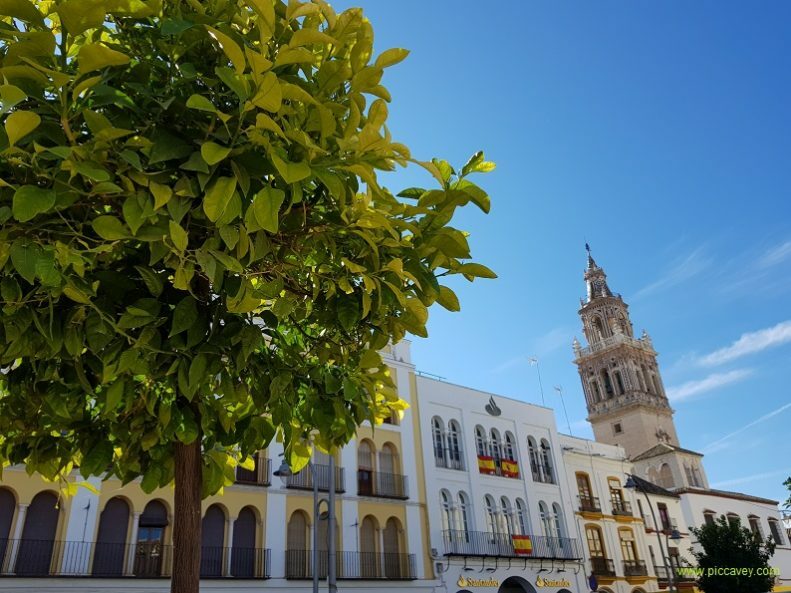 Whether you like history, spanish food or white cobbled streets Ecija won´t dissapoint. I began my day at Apartamentos San Pablo with a hearty breakfast before a walk around the old town. 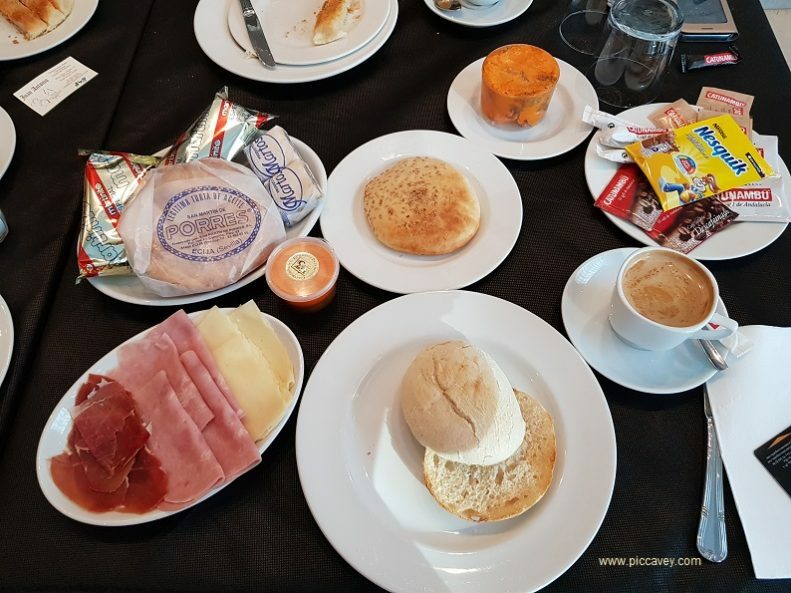 Breakfast included local treats such as Mollete toast, a local spread known as Manteca colora (Red lard with paprika ) and seeded Torta de Manteca flatbread made at a local bakery. 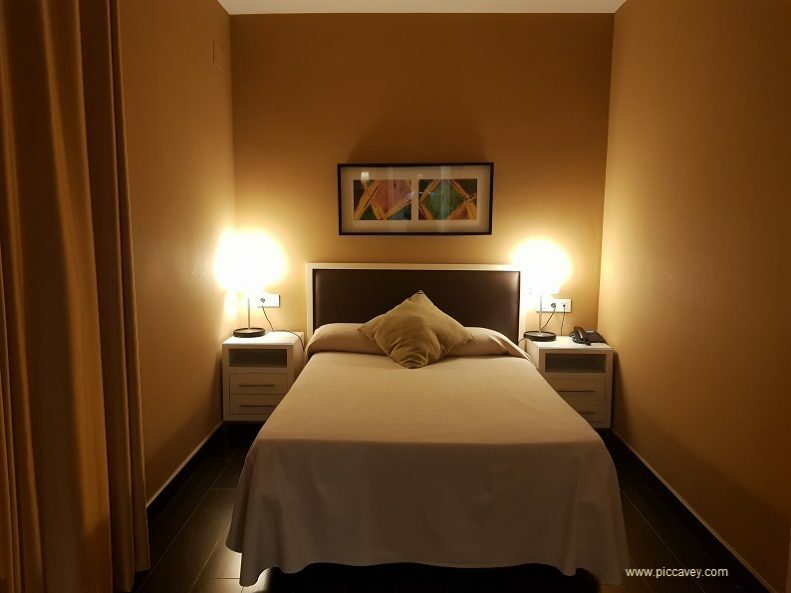 Staying right in the centre of Ecija. I found this comfortable apartment accomodation spacious and modern. 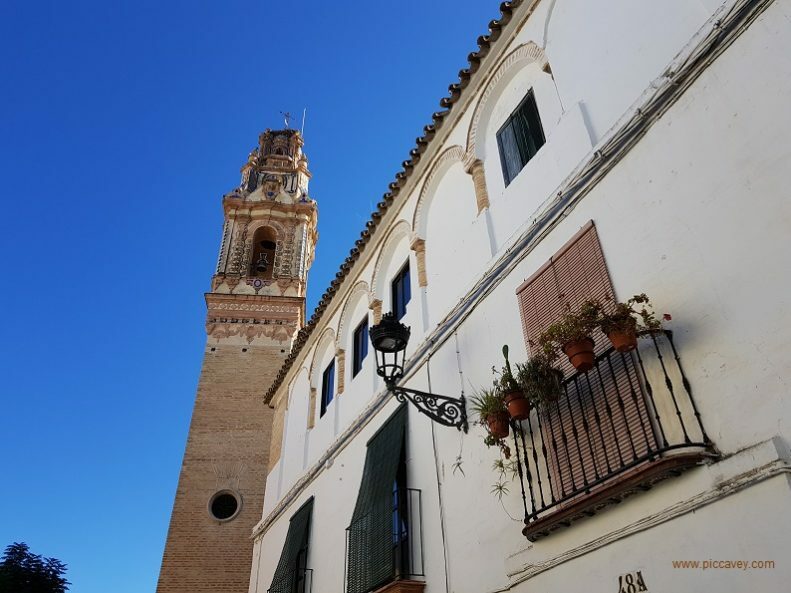 As I wandered out onto the streets of Ecija, it was soon clear to me why this is called City of Towers. With around twenty churches and convents in the old town, as you look up all you see are ornate towers. The are thrity towers to spot. The first one I spotted was the Iglesia de San Juan built in 1745. The detailed ceramic work on the triple belltower was certainly a stunning sight to see. The stork which nests above this church was certainly a discerning bird to choose this place as home. The next stop was the Church of Limpia Concepcion. Certainly a WOW moment when I walked inside. Just look at the ceiling! 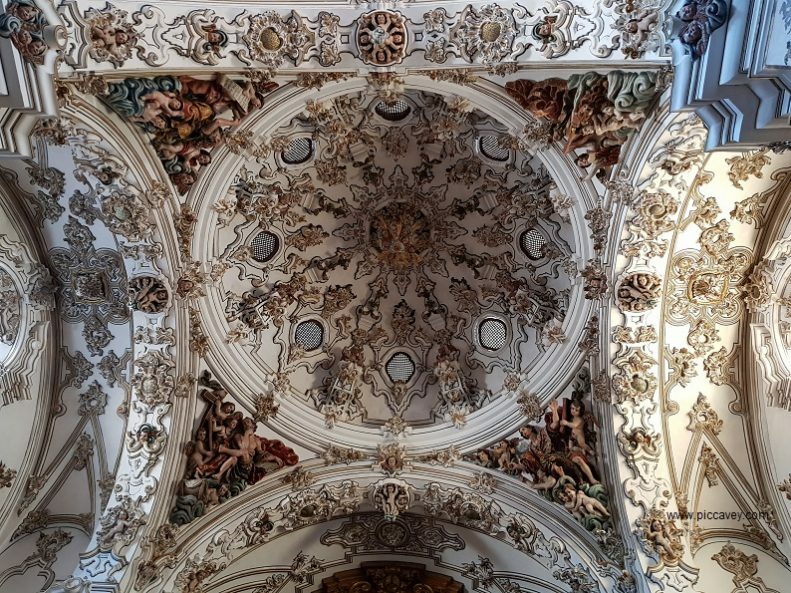 Such detailed plasterwork and delicate painting adorns this church. The church is also home to a magnificient 18th century pipe organ. Althought this was built in 1614, the Spanish Baroque details we added later on in the 18th century. 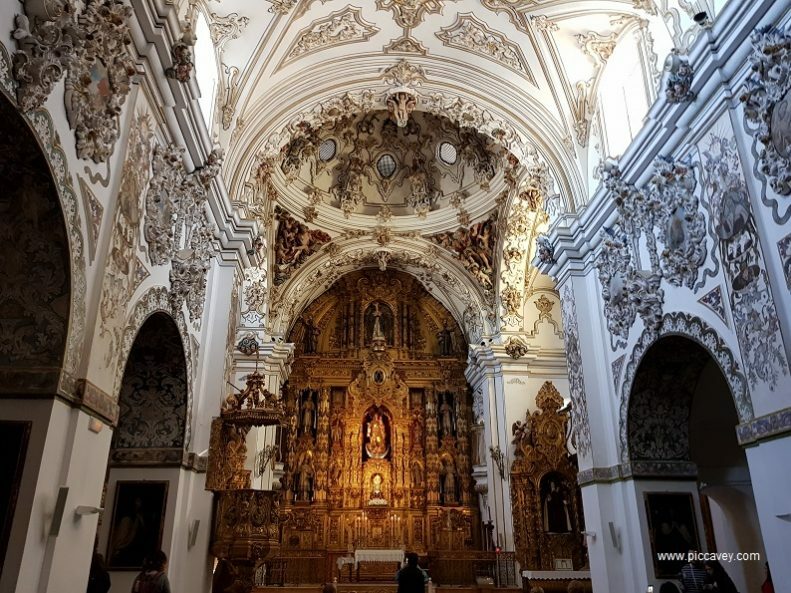 Not only does Ecija have twenty churches and convents. There are also plenty of other things to discover about this important city. Over the ages it was a Roman settlement called Astigi. From 711 the city was under Arab rule for many centuries and known as Madínat al-qutn The City of Cotton. Then from 1240 onwards Christian settlers took over and Ecija prospered greatly. Especially in agriculture. Nowdays the production of cereales and food is still an important industry for the region today. 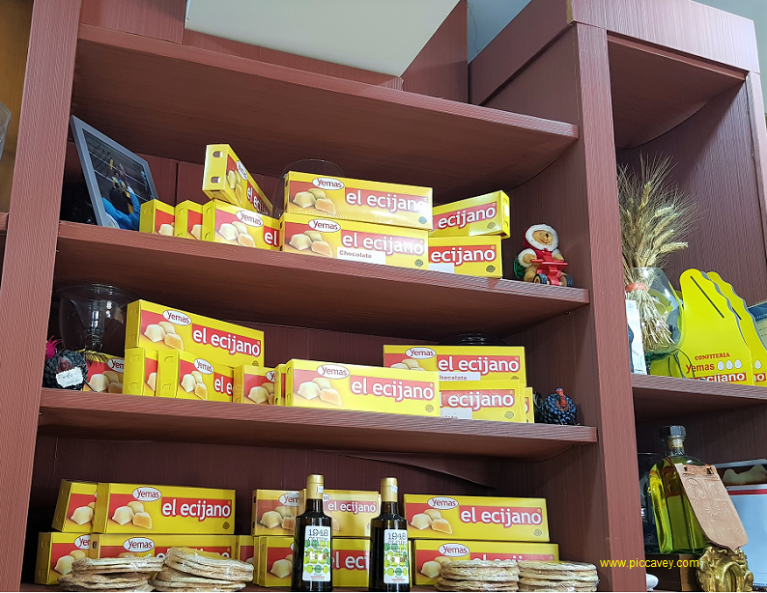 Typical dishes to try in Ecija are Spinach with garlic, known as Espinacas Labradas or the sweet candied yolks known as Yemas Ecijanas. I had lunch at Restaurante Las Ninfas inside the Palacio de Benameji. There they had a mix of local and international food. Something to please everyone. It seemed busy on Sunday lunchtime, so probably best to book if you are visiting on the weekend. Another dish is the moroccan sponge cake, called Bizcocho Marroqui. So sweet and light. Once bought this can only be kept for a few days as it is such a soft and delicate cake. Currently made by Nuns in Ecija you can buy in some bakeries or convents. In Ecija not only do they have good examples of Baroque architecture but also Roman Ruins. 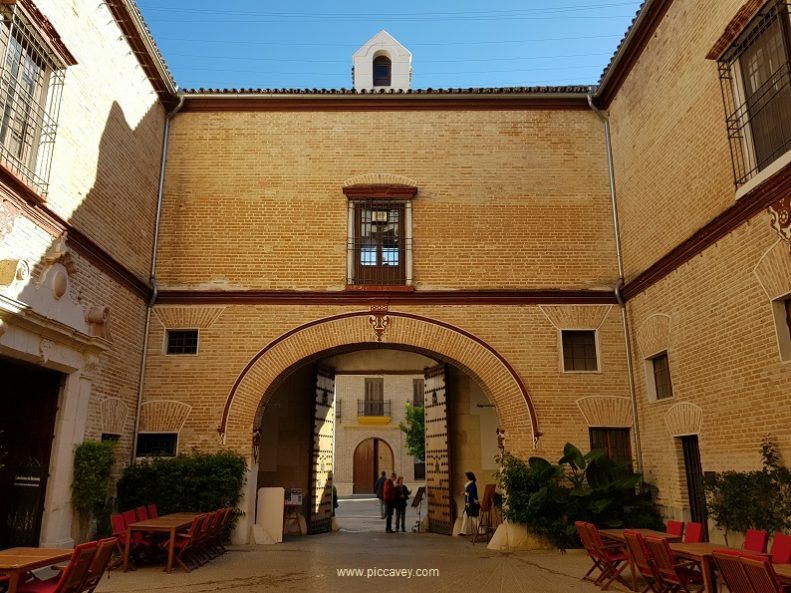 The Roman past of Ecija dates back to the 8th Century. Known as Astigi this town was an important location in Hispania Baetica. At Plaza de España you can also see the Roman Pond which is underneath the square. The ruins we can see today are part of an ancient Roman temple dating to 1st Century. On this site the Amazonia Statue was found, dating from (117-138 d.C) Now exhibited in the City Museum. As this has been such a key location over the ages it´s easy to see why there are so many beautiful buildings left for us to enjoy today. 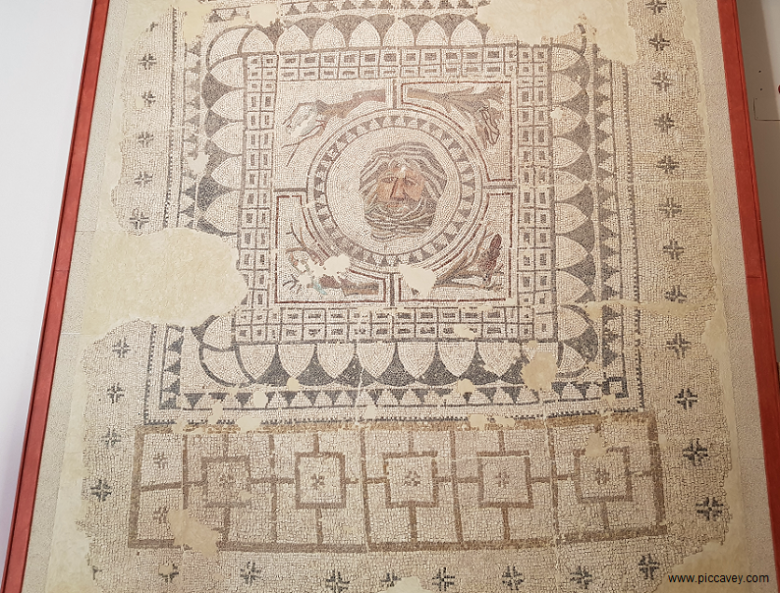 Housed inside the Palace of Benamejí is the Archaeological City Museum where I saw this roman mosaic. Possibly dating back to the beginning of Roman Ecija, they calculate that it could be from 9th century. As well as some other large well conserved mosaics there are also some Roman sculptures inside the first floor museum. 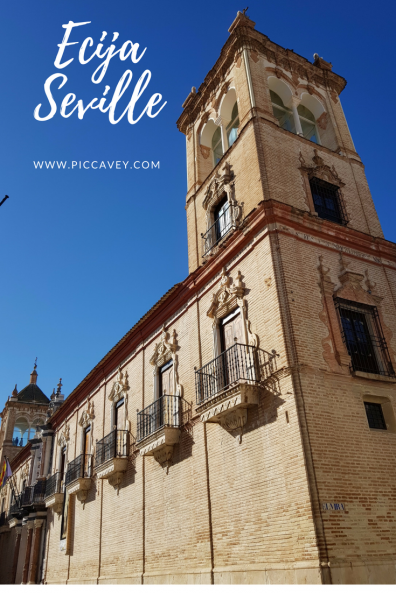 The stunning architecture of the Palaces in Ecija together with its churches and convents is not all Ecija has. Even the streets around the old town with their white washed houses and narrow streets are charming. Very Andalusian with ceramic details. The main square is a large open space with lots of people sitting out in the sunshine, just watching the world go by. 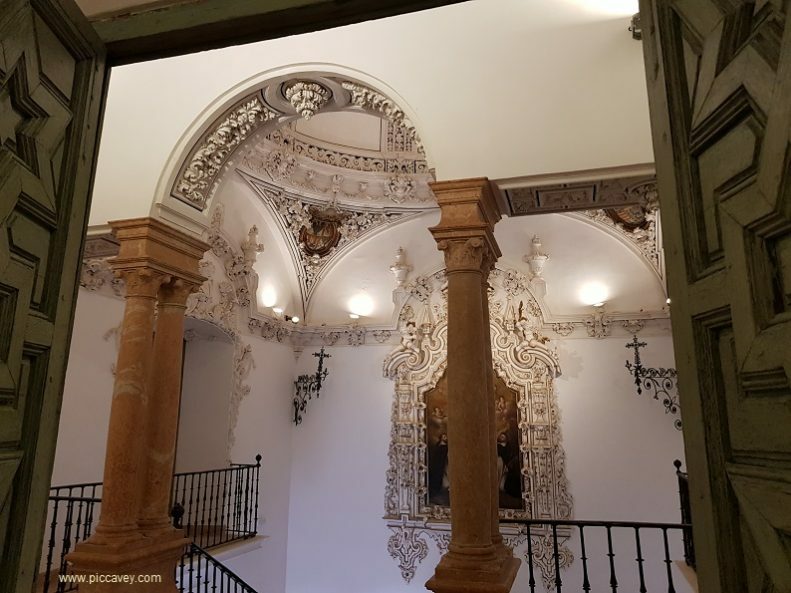 As well as the Palacio de Benameji Ecija has several other monumental palaces. One of the most important ones is Palacio de Peñaflor. The palace was built between 1700 and 1775. Declared of Cultural Interest in 1962 this was the home of the Peñaflor family until 1958. As this palace has undergone extensive restoration recently I was not open to the public. However on this trip in November 2017 I got a sneak peek inside to see how the restoration project was progressing. Visits will begin in Spring 2018. 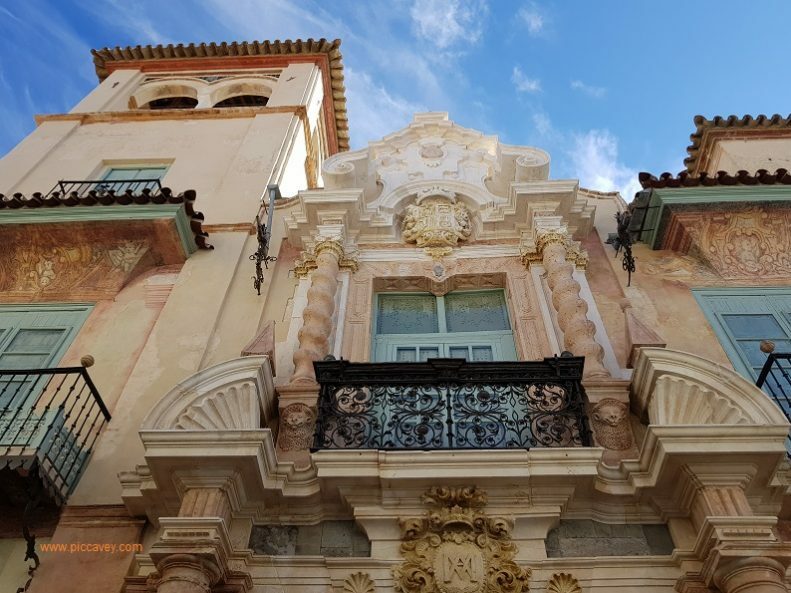 It is clear that Ecija has a bounty of Architectual exhbitis for visitors to see around the city. I didnt expect to find so many photogenics buildings in Ecija. Also the food here was outstanding. 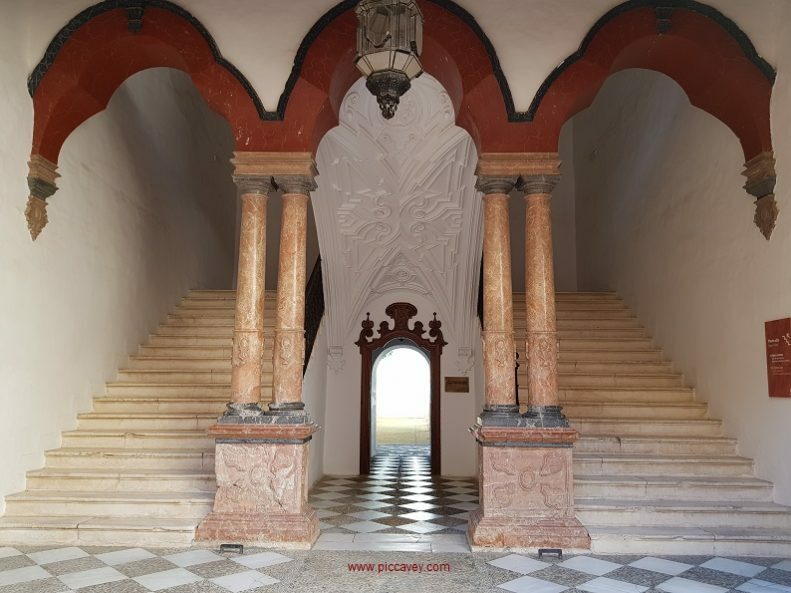 I´m hoping to go back to Ecija sometime to visit a few places I didnt see on this visit. Lovely post! Thank you for share it! Enjoyed your log. Will give me good ideas of what to look out for when I visit tomorrow. I am an American who has been living here for 10 years and it’s nice to see this place through a newcomer’s eyes again. So glad you enjoyed your stay. Tu visión e interpretación-aportación sobre lo que ves de mi tierra, es tan hermosa y reconfortante, como esa “red lard with paprika” que pudiste degustar en nuestros molletes: vistosa y sabrosa forma de empezar el día y que a mi me ha sabido a gloria. Gracias, thank you. La verdad que Ecijá me parecio un pueblo magnifico.